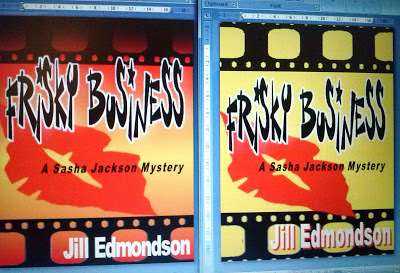 Sasha Jackson Mysteries : Frisky Business Cover - Maybe? The above two pics are simply screenshots, done on my camera phone, so don't be concerned about the resolution. The real cover will be clearer! The background for Option One is lighter, and I think that works better and is more visually appealing... I think. The title for Option Two has more blood spatter, which I think makes it more interesting, but also maybe makes it more gory... and I would hate to turn off readers by having an overly icky, seemingly very violent cover. 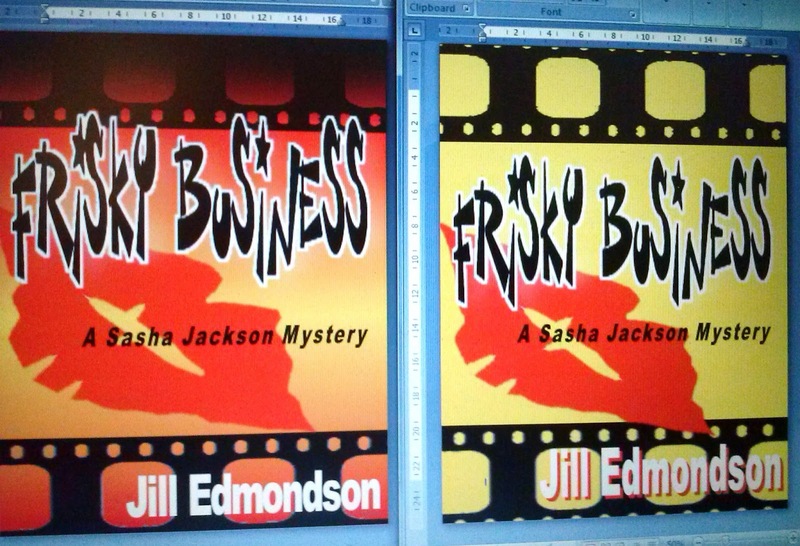 Also: with Option One, three S's are turned into dollar signs (don't know why I didn't do all four! ), and I think that works better than just doing so with one, like in Option Two. Another possible style is shown above. 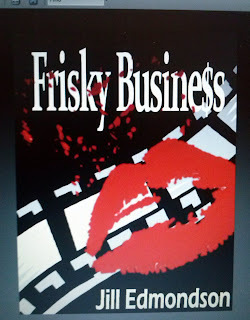 I like the font for the title (or is it too silly??? ), and I like the lips and the film tape, again, of course. Not sure about the background colours though. The image on the left is too "sunsetish" - makes me think it's set in Arizona. On the other hand, the picture on the right is a bit bland. However, with the image on the left side, the title overlaps the filmstrip, and I like that. Having it entirely below (as it the right side image) feels a bit choppy somehow... In this style, the $ for the S didn't look right, so it's just letters this time...) Overall, these two just seem too busy, too glaring... As above, these are dummy shots, photos taken of the images on my computer screen, so please forgive the quality! I would absolutely love to hear your feedback! Small and mid-sized businesses don't understand what identity theft can do to their business until it is too late. These thieves can gain access to key accounts and drain them, many times, before the bank is aware of the full article The cost of can be enormous and can shut a business down. There are three key steps every business must take to protect against this kind of crime. Criminals act quickly, so, a business must work hard to implement these key steps to protect its money, image and future.